Dr. Ding is a Professor of Electrical and Computer Engineering. He received the B.S. degree from Nanjing Institute of Technology in 1982, M.A.Sc. degree from the University of Toronto in 1987, and the Ph.D. degree from Cornell University in 1990, all in electrical engineering. He is currently Professor of Electrical and Computer Engineering, University of California, Davis, CA. His research contributions cover a broad range of signal processing and communication problems including wireless transceiver optimization, blind channel estimation and equalization, multi-input-multi-output communications, multiuser detection, source separation, adaptive signal processing, parameter estimation, radar target discrimination, multimedia wireless communications, and cross-layer wireless communications. He has published over 200 refereed papers and book chapters. Dr. Ding has served on a number of technical programs for SPS workshops and conferences. He was associate editor for IEEE Transactions on Signal Processing from 1994-1997 and again from 2001-2004. He also served as associate editor of IEEE Signal Processing Letters from 2002-2005. He was a member of technical committee on Statistical Signal and Array Processing, member of technical committee on Signal Processing for Communications (1994-2003), and a member of the IEEE SPS Technical Committee on Multimedia Signal Processing(2001-2006). He was a member of the Editorial Board for the IEEE Signal Processing Magazine. 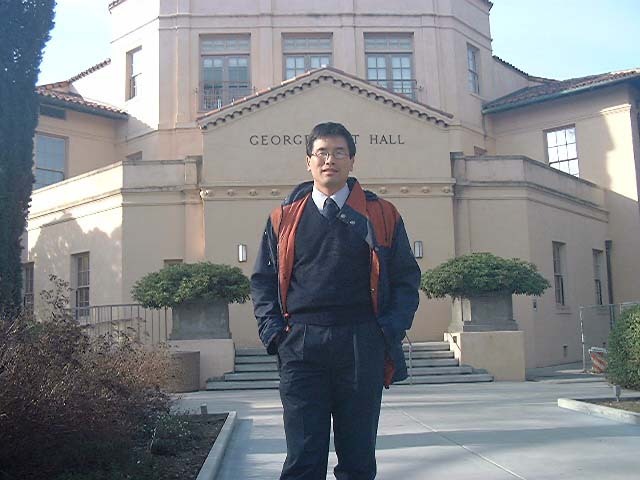 Dr. Ding was on the Organization Committee of ICASSP 2005 in Philadelphia. He was the Technical Program Chair of the 2006 IEEE Globecom. Dr. Ding has held visiting positions in Australian National University, Hong Kong University of Science and Technology, NASA Lewis Research Center, and USAF Wright Laboratory. Prof. Ding has active collaboration with researchers from several regions including Australia, China, Japan, Canada, Taiwan, Korea, Singapore, and Hong Kong. He is also a visiting professor of the Southeast University in Nanjing, China. Prof. Ding's group of brats and visiting brats outside their office building (Kemper Hall) in a Spring Day of the 21st Century. From left: River, Neil, Jovana, Li, Ash, Chengbin (visiting from NWPU), Zhihua (visiting from SEU), Huy-Dung, Zia, Shafi, Zhi, Forrest, Fabio (not shown). 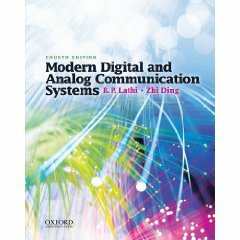 New Book: B. P. Lathi and Zhi Ding, Modern Digital and Analog Communication Systems, Fourth Edition, 2009. ISBN13: 9780195331455. Questions or comments? Email me [zding(at)ucdavis.edu]. Address: 2064 Kemper Hall, UC Davis, 1 Shields Avenue, Davis, CA 95616, USA.